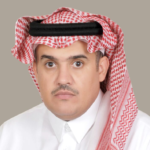 Goblan is a former senior researcher at the Saudi Arabian Monetary Agency (SAMA), Monetary Policy and Financial Stability Department and is now Senior Director at the Royal Court Support Decision Center, Riyadh. He holds a Ph.D. in Economics from the University of Kansas. This research is part of a joint project between the Saudi Arabian Monetary Authority (SAMA) and the King Abdullah Petroleum Studies and Research Center (KAPSARC). This paper estimates a micro-based life cycle consumption model for Saudi Arabia over the period 1970-2017 The estimate of consumption behavior in this paper is identified as centering on the income effect and the wealth effect: The income effect is defined as the direct impact on consumption of a variation in income. The wealth effect is defined as a consumer’s perception of a change in his or her wealth and a concomitant decision either to liquidate some of that wealth to enable an increase in consumption (in the case of a positive wealth change) or to decrease consumption in order to restore the consumer’s desired level of wealth (in the case of a negative wealth change). The wealth effect on consumption can be substantially different from the income effect because it is more closely related to consumers’ expectations of, and fluctuations in, the value of real and financial assets. 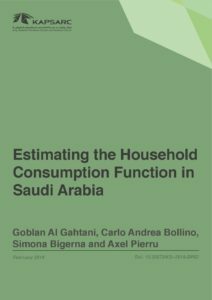 The authors’ estimation shows that both income and wealth have significant effects on household consumption in Saudi Arabia, with a long-run marginal propensity to consume (MPC) out of income of around 0.73-0.95, and out of wealth of around 0.06. The sensitivity of consumption to income and wealth in Saudi Arabia appears to be consistent with the growth of the Saudi economy.